Lady Gaga is not just popular for her music and acting, but she’s also often in the spotlight because of what she wears (meat dress, anyone?). Her sense of style is often campy or glamorous, yet rarely conventional. Therefore, it’s no surprise that everyone was talking about her outfit at the ELLE Women in Hollywood celebration. “I spent a lot of time thinking about what I wanted to say tonight. How does one rise to such an occasion when maybe you don’t feel that inside? How does one accept where life has brought them and what it all means? As I tried on dress after dress today, getting ready for this event, one tight corset after another, one heel after another, a diamond, a feather, thousands of beaded fabrics in the most beautiful silks in the world… to be honest? I felt sick to my stomach. And I asked myself, what does it really mean to be a woman in Hollywood? We are not just objects to entertain the world. We are not simply images to bring smiles or grimaces to people’s faces. We are not members of a giant beauty pageant to be pit against one another for the pleasures of the public. We women in Hollywood, we have voices. We have deep thoughts and ideas and beliefs and values about the world, and we have the power to speak and be heard and fight back when we are silenced. So after trying on 10 or so dresses, with a sad feeling in my heart that all that would matter was what I wore to this red carpet, I saw an oversized Marc Jacobs suit very quietly in the corner. I put it on, to a resounding view of eyes glaring at me in confusion. ‘But the Rodarte was so beautiful!’ one said. ‘But the Raf Simons for Calvin Klein was so stunning on you!’ said another. ‘But what about the Braden Maxwell? What about the Dior?’ Lots of questions. They were all dresses. 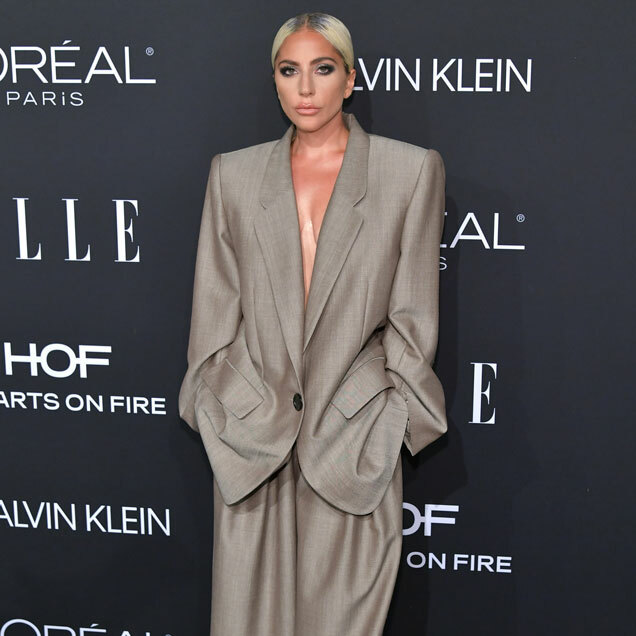 This was an oversized men’s suit made for a woman. Not a gown. And then I began to cry. In this suit, I felt like me today. In this suit, I felt the truth of who I am well up in my gut. And then, wondering what I wanted to say tonight became very clear to me. Credits to Kyle Buchanan for the transcription.